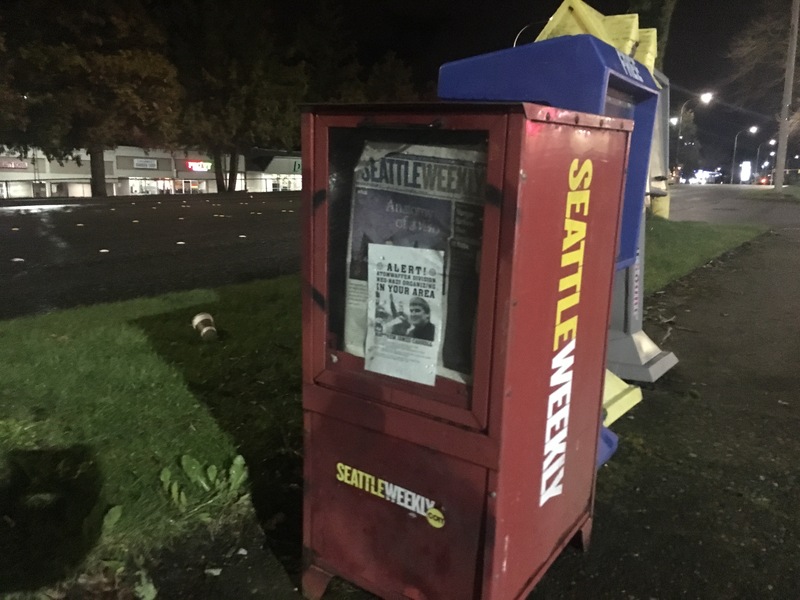 Shortly after midnight on March 9th, 2018 anti-fascists set out to the streets of Renton, WA to notify businesses and neighbors that a dangerous neo-Nazi couple were residing in their neighborhood. While we were flyering, Eugene Antifa was putting the final touches on their report about Atomwaffen Division member Matthew James Carroll and his wife Rosalee Lorraine Carroll. The first community space we chose to inform was Highlands Community Church, where flyers were slid under the main entrance of the church and posted in the parking lot and on the street corner. 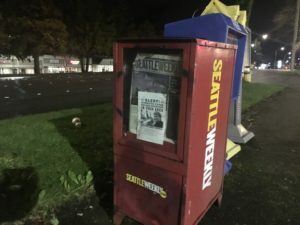 There will be no sanctuary nor peace for neo-Nazis. Where is your god now? 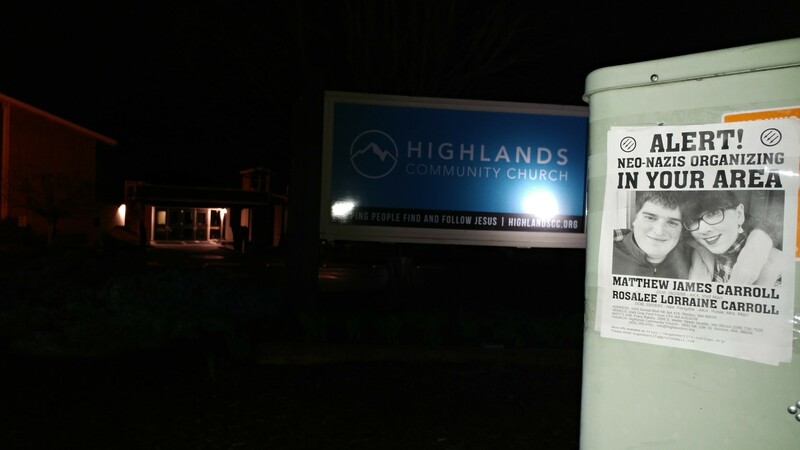 We proceeded to place flyers under the windshield wipers of approximately 100 cars in the residential area around the church. 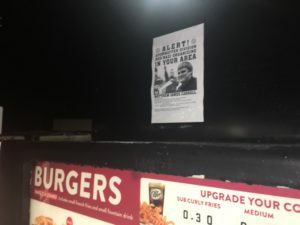 We then dropped flyers at nearly every business along Sunset Blvd and posted flyers on telephone poles, bus stops, and newspaper boxes the entire way to the Cypress Pines apartments – where the Carroll’s reside. 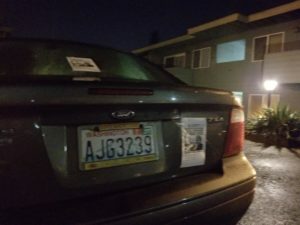 When we arrived at the apartment complex, we quietly placed a flyer on every car including the Carroll’s. 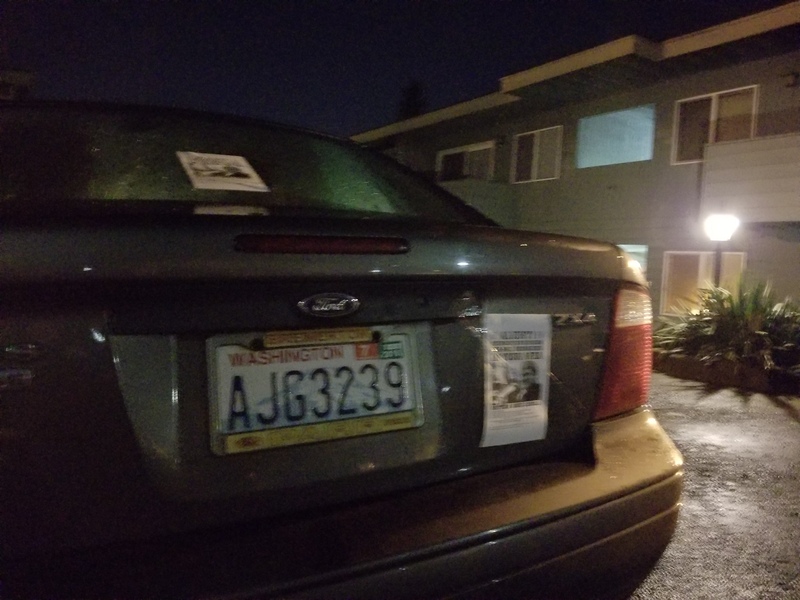 While flyering, we noticed a man watching from the balcony, but we were determined to get the warning to the neighbors and leave a message for the Carrolls. 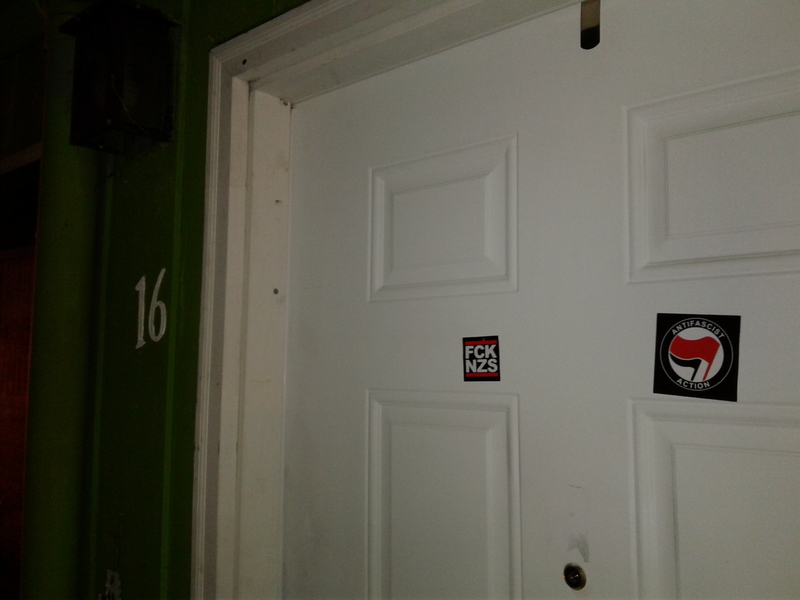 We finished flyering the cars, gave the man a thumbs-up, and walked up the stairs to the Carroll’s apartment and left them with some new decorations for their door. Let this serve as a warning: No matter how slick or bright you think you are, if you are engaged in neo-nazi organizing, we will find you, and we will publicize your activities. 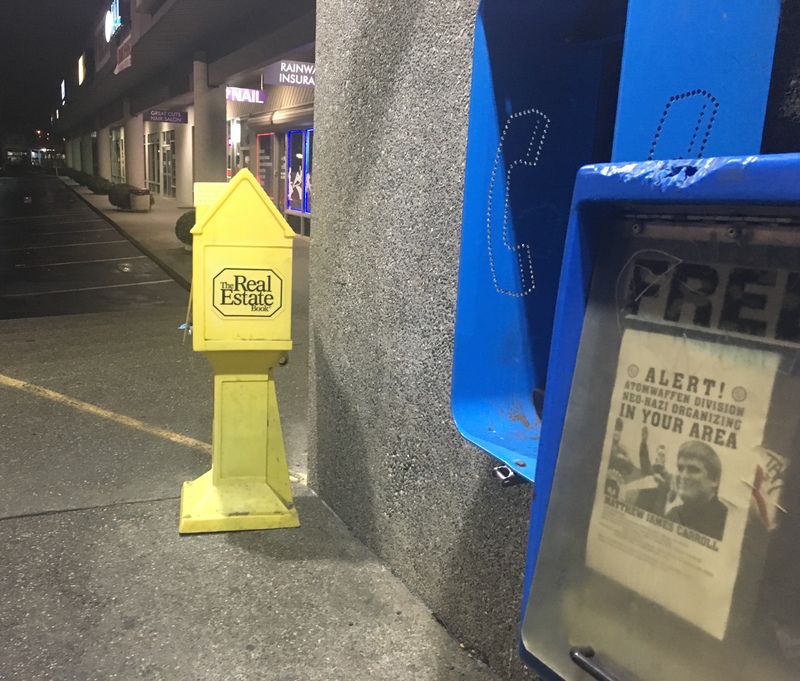 Everyone you know – neighbors, friends, family, and employers will be notified. We hope we made your 25th birthday a memorable one, Rosie (dob 3/9/93).